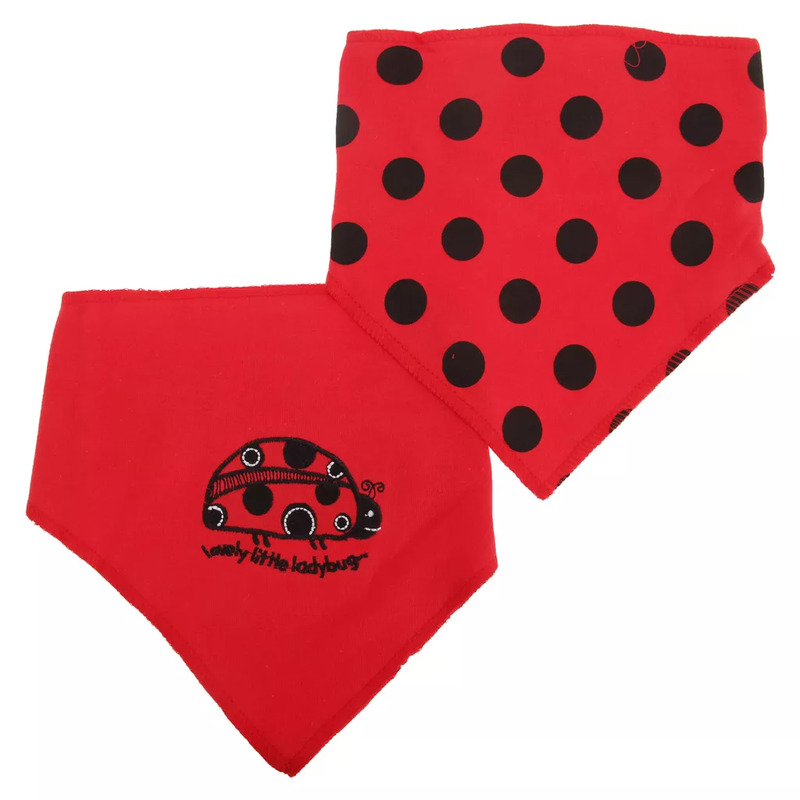 Bandana bibs with double fabric and binding detail around edge. Feature cute Ladybird/Polka Dot designs. Hook and loop fastening at back neck.